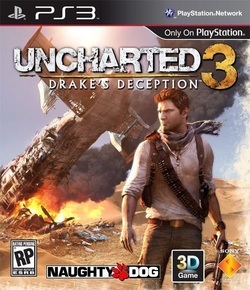 A search for the fabled “Atlantis of the Sands” propels fortune hunter Nathan Drake on a daring trek into the heart of the Arabian Desert, a journey that pits him and his mentor Victor Sullivan against the occult treachery of a shadowy clandestine organization and its ruthless leader. When the terrible secrets of this lost city are unearthed, Drake’s quest descends into a desperate bid for survival that strains the limits of his endurance and forces him to confront his deepest fears. PLAYSTATION 3, disingkat PS3) adalah konsol Sony generasi ketiga. 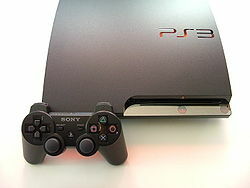 PlayStation 3 merupakan penerus dari PlayStation dan PlayStation 2. Konsol ini bersaing dengan Xbox 360 dari Microsoft dan Wii dari Nintendo.